Cloud technology implementation among companies in Ireland has more than doubled in the past year and small businesses are embracing remote working from home much more than larger ones. That’s according to the technology findings of our second annual Regional Business Barometer Study conducted by Amárach Research in January 2016. Over half (58%) of the 540 business surveyed said they have introduced a cloud system for either their staff, their clients or for both, representing a significant jump on 2015, when 23% stated this. Micro business of 1-9 employees are very supportive of home working, with two-thirds of staff, on average, remote working from home on a regular basis. For large companies of more than 250 employees the figure is only 15%. Small companies also provide the most staff with smartphones (48%), tablets (28%) and laptops (42%). When it comes to cloud adoption, security concerns have risen significantly since last year, with 1 in 5 citing this as a deterrent to cloud adoption, compared to 4% the previous year. The study also showed that the primary benefits of cloud services are reduced costs (58%), mobility (55%), allowing staff to work from home (46%) and greater productivity (37%). Remote working continues to grow in popularity, with figures doubling for home workers compared to a year ago. 59% of IT decision makers say some of their staff work from home on a regular basis, while half say some of their staff work while on the road. Last year, these figures were 29% and 36% respectively. 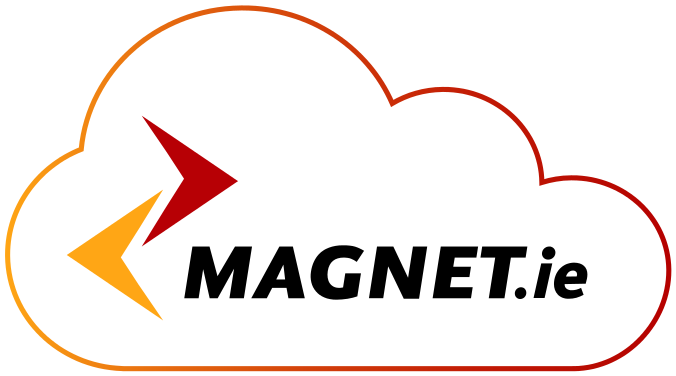 The survey results were announced as Magnet unveiled a major update to its signature cloud phone system, Magnet Voice. As well as a fresh new interface, the system has added video conferencing, instant messaging and a Google Chrome extension that allows users make or take calls from their browser, as well as click-to-call from webpages. Companies with 250+ employees are considerably more likely to have implemented a cloud service (72%), with smaller companies of up to 9 employees least likely (40%). Among those who have implemented a cloud solution, over two thirds (69%) say this is email related, over half (52%) utilise collaboration tools while 34% access existing business applications and another 34% CRM. 23% stated saving over €1,000 per month by moving to a cloud phone service. On average 35% of staff are provided with a company smartphone (up from a quarter in 2015). This drops to 21% for tablets and back up to 35% for company supplied laptops. For mid-sized companies, the number who work from home are 22% (10-49 employees) and 19% (50- 249 employees). The research was carried out among 540 businesses across eight regional authority areas in January 2016. There was a broad representation of businesses in the survey, ranging from micro businesses with 1-9 people employed right up to businesses with 250 people or more. The technology findings of the Magnet Regional Business Barometer survey covering remote working, staff & technology, cloud services and more can be downloaded now from here.